For years, Facebook users have had access to the Marketplace where they can find items for sale within a 40-mile radius of their zip code. You can search for almost any item and connect with sellers to make a deal. It’s as simple as browsing through the listings or searching by category or keyword. Users also have the ability to save items, get notified when units matching their search criteria are added, send a message to the seller for more details, and share the item either in Messenger or on their Facebook wall. Now, RV and Trailer dealers have the opportunity to list their inventories on Marketplace. As of October 2018, Facebook had 2.27 billion monthly active users. Facebook Marketplace specifically is used in 70 countries by 800 million people monthly, and one in three people in the US use Marketplace. With this automatic listing tool, your used inventory is pushed to Facebook Marketplace. Your listings won’t expire – they come down only if the unit is not in the feed, or if the service is discontinued. Best of all, it’s free to list your units in the Marketplace. This automatic listing tool is part of our EZ-List package, which also includes Craigslist, eBay, and YouTube. The Facebook Marketplace listing tool is $199 per month, per dealership location. If you are already using EZ-List, there’s no additional setup cost. If not, the setup cost is $125 for your first location, and $75 for each additional location. 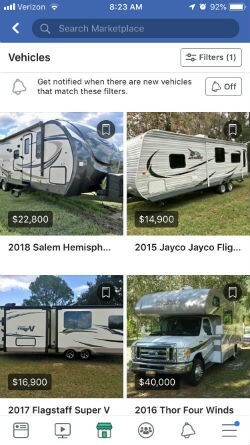 Your used units will be listed in the “Vehicles” category on Facebook Marketplace. You must have one of our RVUSA.com Dealer Plans in order to use the EZ-List posting tools. Leads are sent via Facebook Messenger to the admin for your Facebook Business page. To manage these leads, you’ll want to elect someone from your team to handle them. 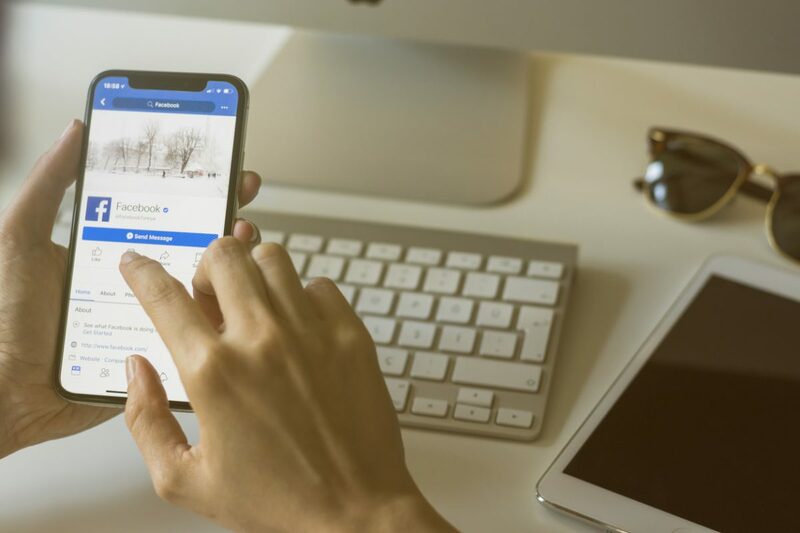 The quicker you get back to these leads, the better, so your Facebook Business page admin will want to download the Facebook Page app on their mobile device and update the settings to turn on notifications. Watch a quick 15-second video that shows how to do just that. If you already have an RVUSA.com Dealer Plan, and would like to add EZ-List to your account, click here. If you need to sign-up for both an RVUSA.com Dealer Plan and EZ-List, click here.